We are identified as one of the major Clutch Cover Exporters from India. Various national as well as international clients are placing bulk orders for the Chrome Clutch Cover due to the unmatched quality and unsurpassable performance. 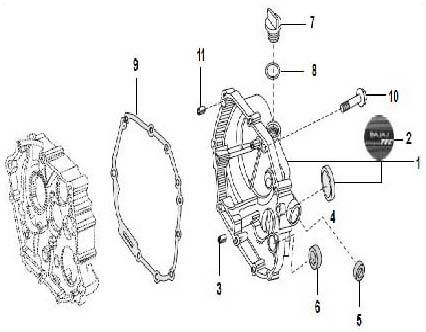 The array of the Motorcycle Clutch Cover includes Clutch Cover/Graphics/Gauge, Label Example âï¿½ï¿½BAJAJ EXHAUSTECâï¿½ï¿½, Dowel Pin, Gauge, Seal Oil, Cap Oil Filler, O Ring, Gasket (Clutch Cover) and Bolt Flanged Small. Additionally, Auto Clutch Cover is available at the most affordable prices.